A week-long theatre fest styled ‘Muktijuddho Natya Utshab 2019’ was inaugurated at Bangladesh Shilpakala Academy on March 14, 2019. 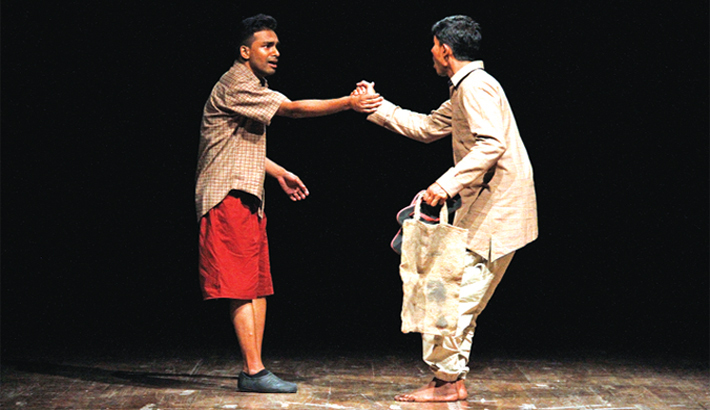 Organised by production-based theatre troupe ‘Spardha’, the festival features 11 shows of theatre production ‘Jibon O Rajnoitik Bastobota’, based on a novel by Shahidul Zahir with the same title. The play has been directed and designed by Syed Jamil Ahmed. The production is based on the theme of the Liberation War of 1971 and its aftermath. It opens with an event in 1985 at Laksmibazar Lane of Dhaka city when Abdul Majid sees that Abul Khayer, a political leader, is delivering speech on a microphone. After observing it, Abdul Majid remembers the days of 1971 when Abul Khayer’s father Badu Mawlana used to throw chopped pieces of human body to the crowding crows from the rooftop of his house. The production comes to an end when Majid sells his house and leaves the locality. The story of Badu Mawlana conjures up a very shocking element and with it Shahidul Zahir creates the picture of the collaborators during the Liberation War. The play will be staged everyday at 7:30 pm until March 20 including a matinee show on March 15, 16, 17 and 20 at 3.30pm.